In recent years the shadow economy, once thought to be a problem only for less economically developed countries, has become recognised a pressing issue for developed economies as well. 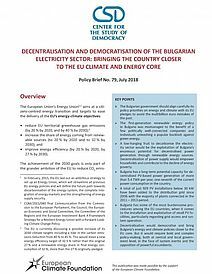 It acutely affects Bulgaria which is widely recognised as having the largest shadow economy in the European Union. 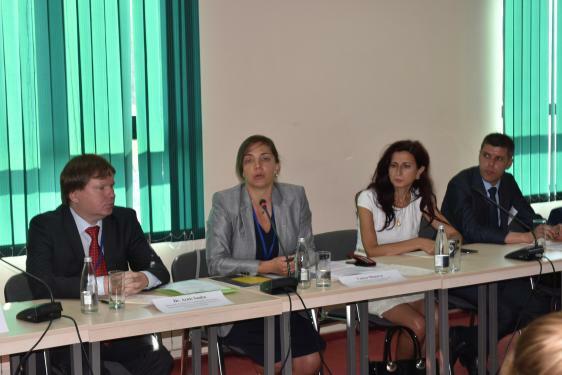 On 2 September 2016 in Sofia, the Center for the Study of Democracy (CSD) in cooperation with the Sheffield University Management School (UK) and the Institute of Public Finance (Croatia) organised an international Marie Curie conference with the aim to provide a better understanding of the causes and effects of the shadow economy and undeclared work as well as to new insights in the field and to identify various policy responses. 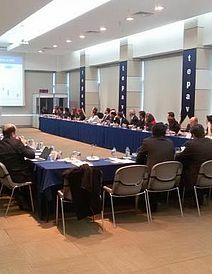 During the conference, which gathered leading academics, government officials and politicians, it became clear that it is possible to identify and rectify the shadow economy but that is neither an easy nor a simple task. 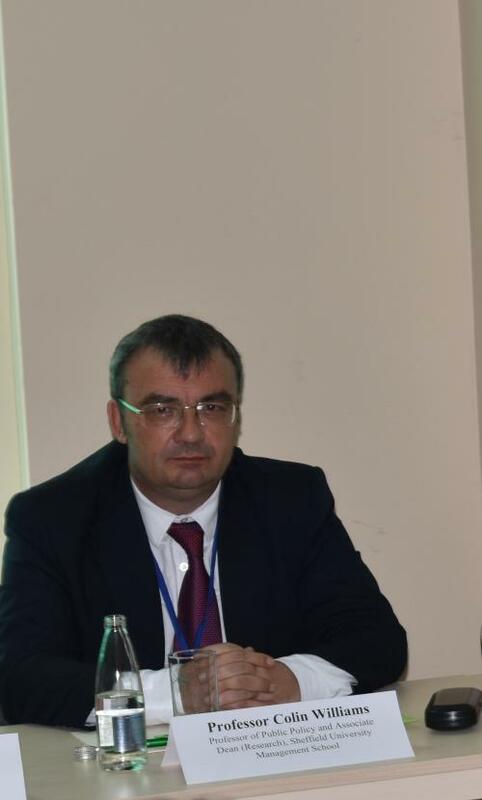 In opening the conference, Mr. Ruslan Stefanov, Director of the Economic Program at the Center for the Study of Democracy, welcomed all the participants and guests and stressed the importance of gathering experts from diverse backgrounds in order to arrive at the best conclusions and policy remedies. 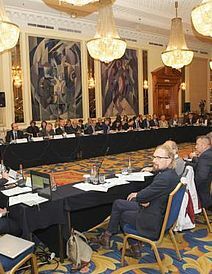 He acknowledged the fact that the conference had gathered an outstanding international team of experts, with which Bulgarian and Southeast European institutions and partners could exchange ideas and practical insights into tackling the shadow economy. 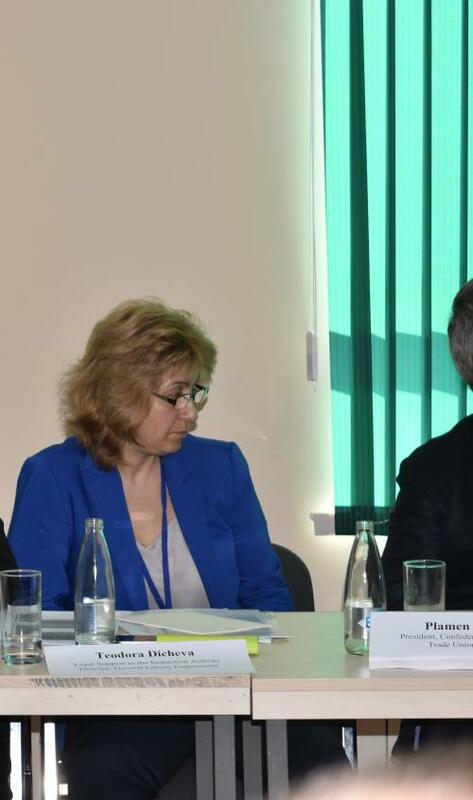 He pointed out Bulgaria still faces severe undeclared work problems as evidenced by CSD’s recent work supported by the Bulgarian-Swiss Cooperation Programme. Professor Colin Williams from Sheffield University emphasized the importance of understanding the difference between the causes and effects of undeclared work, and how this can most easily be achieved through the prism of institutional theory, which points to an asymmetry between formal and informal institutions as being the root cause of the informal economy. Professor Williams discussed different policy approaches towards undeclared work and laid out the hypotheses about the rational economic actor and the social actor, their behaviour, influences and reasoning behind engaging in hidden economy activities. He also presented a breakdown of the findings and conclusions of a study on participation in undeclared work based on the method of multi-level logistic regression using 27,563 interviews conducted in EU-28. 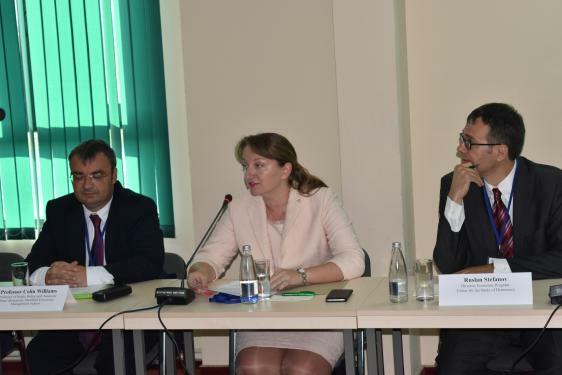 The Deputy Minister for Social Policy and Labour of the Republic of Bulgaria, Ms. Denitsa Sacheva, stressed that there were many determinants of the shadow economy including economic, social and cultural factors. 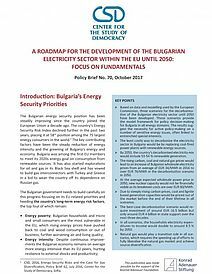 She then went on to point out the Bulgarian government’s commitment to tackling these problems whilst ensuring that the views and opinions of all stakeholders are being taken into account. She acknowledged the importance of the EU support in this respect. The first panel of the conference was dedicated to the conceptual and policy framework for tackling informality in the European Union. Delivering the first keynote speech Mr. Georgi Pirinski, Member of the European Parliament described the practices of ‘labour dumping’ where immigration and free movement can greatly swell the labour force in particular places. This, he stated, is then being used by employers to drive down wages and thus create a climate in which undeclared work can thrive. Mr. Pirinski cited the case of Sports Direct in the UK as a prime example where a glut of labour had been exploited and, as a group of MPs found, resulted in mass undeclared work. Mr Pirinski additionally noted how platform-based work arising in the ‘sharing economy’, such as cleaning agencies, can greatly increase the prevalence of undeclared work and the shadow economy. According to him, a solution to these problems will be the introduction of effective policies such as tax breaks. However, there was also an acknowledgement that a large cultural shift was required in order to fully redress the problems. Mr. Arnis Sauka, Director at the Centre for Sustainable Business, Latvia, emphasized the complexity of the shadow economy, which, whilst not necessarily illegal, is merely unobserved. Mr. Sauka was strong in warning against creating an anti-entrepreneurial climate in trying to tackle the problem and then went on to stress that size assessment will always be an issue in the study of the shadow economy and that the best way of reducing its impact is to combine both qualitative and quantitative methodologies. However, it must be noted that no result should be taken as definitive but merely a guideline. Tentative assertions were then made as to the causes of the shadow economy, which included rational choice and tax morality. To summarise, Mr. Sauka concluded that in order to tackle undeclared work effectively the policy focus should be on multiple issues and not on a single one. Measures for tackling the hidden economy and undeclared work in Bulgaria were discussed as part of the second panel of the conference. 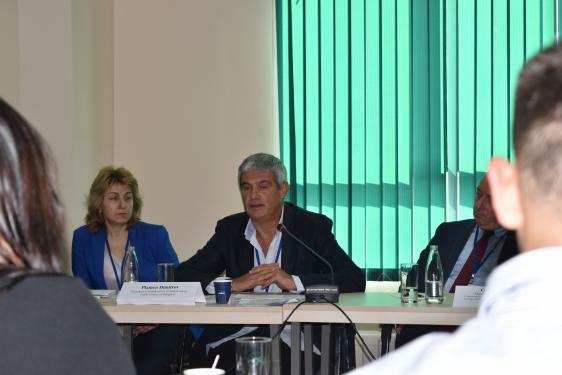 The President of the Confederation of Independent Trade Unions of Bulgaria Mr. Plamen Dimitrov argued that the informal economy is the biggest generational challenge that Bulgaria is facing but that an over-focus on legality was not helpful. In addition, the point was made that high-levels of immigration drive the informal economy but at the same time reducing these levels would not be a sustainable solution. Instead, the primary area of development should be ensuring the public at-large was aware of the incentives of engaging in formal work and the subsequent penalties for not doing so. 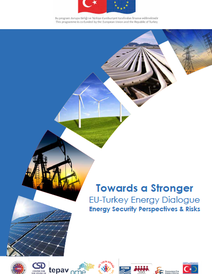 According to Mr. Dimitrov, this is the key to tackling the problem but at the same time these ameliorations could not be achieved through one single policy. Mr. Veselin Mitov, International Secretary of the Podkrepa Confederation of Labour, highlighted the need for greater European involvement in tackling the undeclared economy and the high importance of a common response. The need for political cooperation, he noted, is paramount to finding effective solutions and without common responsive actions there is no hope of the problem being reduced. The Mastercard Country Manager for Bulgaria and Macedonia Ms. Vanya Manova made it clear that the company she is representing is highly determined to reduce the size of the informal economy in the region. She differentiated between the passive and active dimension of shadow economies and argued that by addressing the passive aspect a strong improvement could be achieved. 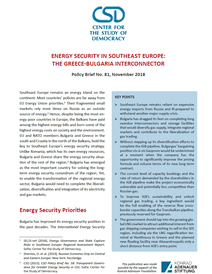 Given the fact that in Bulgaria the sector with the largest proportion of undeclared work is the food and beverage industry, she suggested two key measures to combat the informal economy - lowering the threshold of cash payments and obliging recipients of payments to accept cards with sanctions for non-compliance. 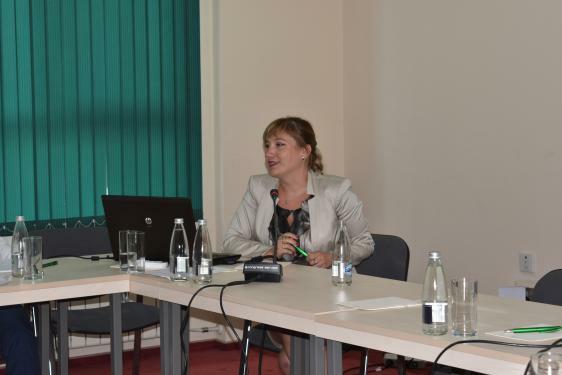 Ms. Teodora Dicheva of the General Labour Inspectorate brought into focus the different forms of manifestation of undeclared work in view of the jurisdiction of the agency in the area of labour law enforcement. She also emphasized on the importance of cooperation amongst all institutions, including domestic ministries, public and the private sector as well as NGOs, to tackle the problem. 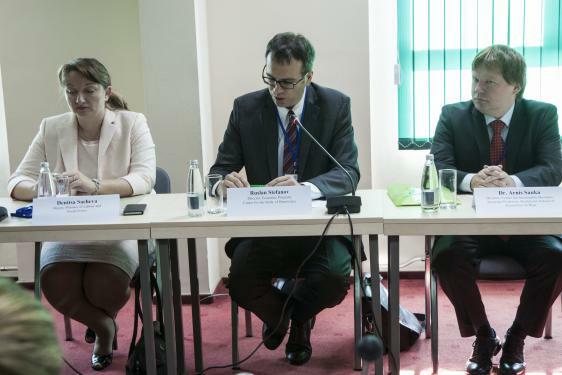 Ms. Dicheva spoke about the national and cross-border aspects of administrative cooperation in the field, which she identified as a key component of delivering effective policy responses to undeclared work. 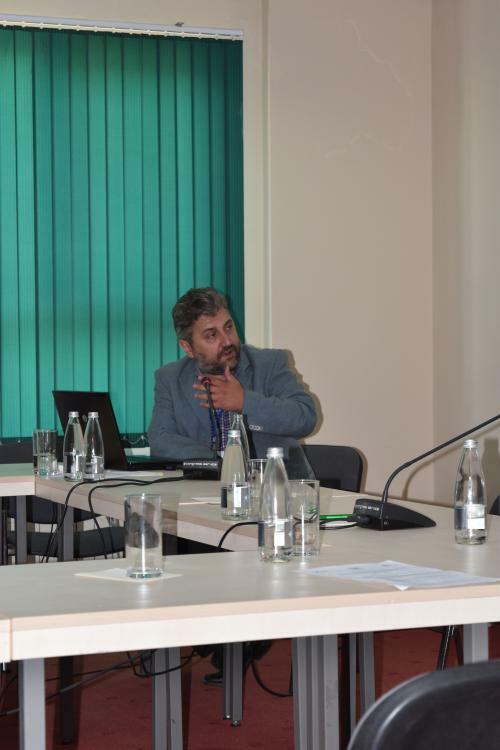 Mr. Nikolay Petkov, Director of Risk Management at the National Revenue Agency, argued that an effective strategy in targeting the informal economy would involve a focus only on the riskiest aspects such as for example the so-called envelope wages. He also made it clear that in case policy measures were to be deployed and then suddenly withdrawn, then the negative effects would be more severe than if they had never been implemented in the first place. In summary, Mr. Petkov concluded that the informal economy is incredibly difficult to tackle because of strong, implicit, contractual relations between employees and employers. 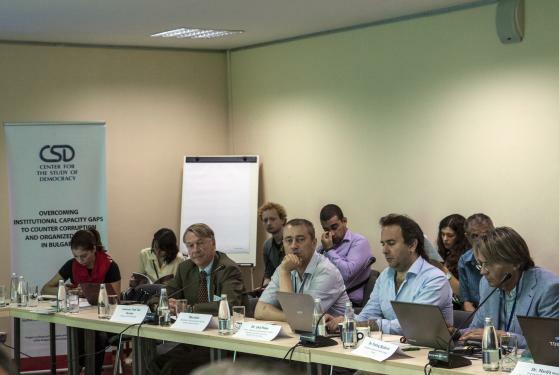 The third panel of the conference discussed the monitoring of the hidden economy and undeclared work in Bulgaria and in Southeast Europe. Senior Researcher and expert for the Southeast European Leadership for Development and Integrity Dr. Todor Yalamov, drew attention to a number of preliminary findings on the hidden economy sectors in Southeast Europe, concerning the immense diversity of scales and patterns, the demographics and the role of minimum wage among others. He also presented a strategy for addressing the undeclared economy in the region of interest. Mr. Yalamov believes this can be best achieved through social and not through economic policy, as many of those who participate in the informal economy are paid above the minimum wage. He also identified and clarified how hidden economy functioned in state, as well as in private enterprises in the region and pointed out that this was a matter which should be directly addressed by regional and national governments. 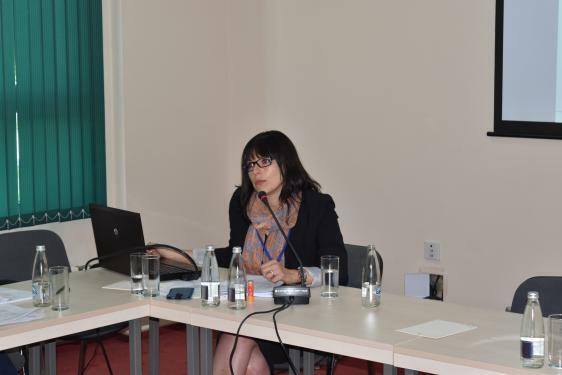 Professor Emilia Chengelova, Member of the Scientific Council of the Bulgarian Academy of Sciences, presented an extensive analysis of the shadow economy in Bulgaria and described the methodological approaches that are being used in studying shadow economic practices in the country. She pointed out that there is a wide and successful research experience in direct measurement of shadow economy through Social Survey Research in the country. 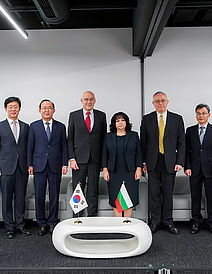 She noted that the methodologies were not perfect but that using international measures may not be ideally suited and transferable to the Bulgarian economy. 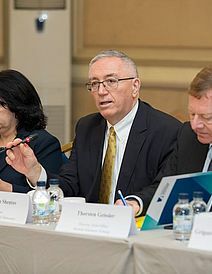 According to Professor Chengelova, the assessments and attitudes of the Bulgarian society towards the shadow economy are ambivalent, contradictory and charged with an impressive dose of pragmatism. People are inclined to seek the basic and major fault for shadow economy practices in the existing formal rules, which are inconsistent and full of gaps. 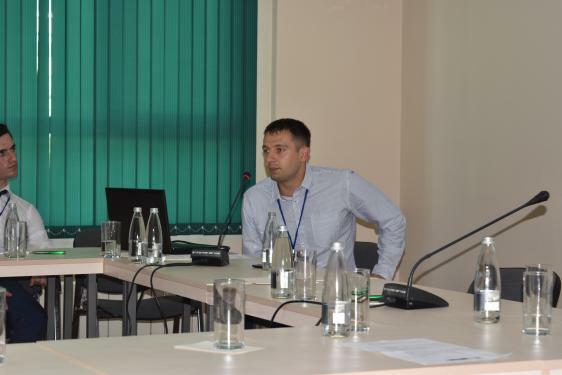 Mr. Milen Kolev of the National Statistics Institute (NSI) gave a step-by-step guide of the methodologies employed by the NSI in attempting to measure the shadow economy. 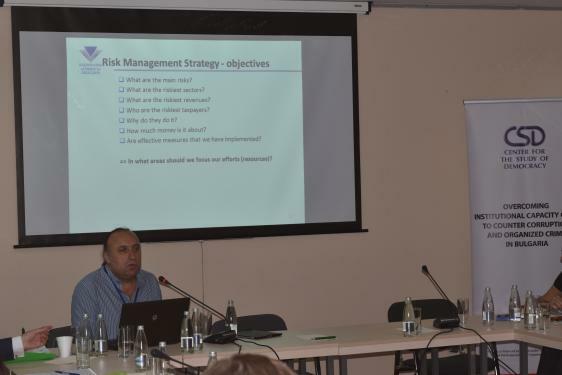 Mr. Kolev emphasized on the different methods for measuring non-observed economy and discussed some of the adjustments made to measure Bulgarian GDP, which involved many aspects of the shadow economy including misreporting by producers, non-contractual obligations for producers to register, and illegal producers failing to register their products. It has been noted how in Bulgaria the non-observed economy as a share of GDP went up after the financial crisis but has since returned to its pre-2008 levels. 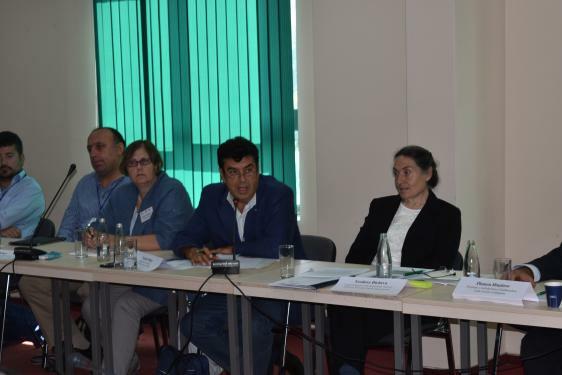 The last panel of the conference discussed the measuring and tackling of the hidden economy and undeclared work in Bulgaria, Macedonia and Croatia, which are the focus countries of the GREY Marie Curie project. 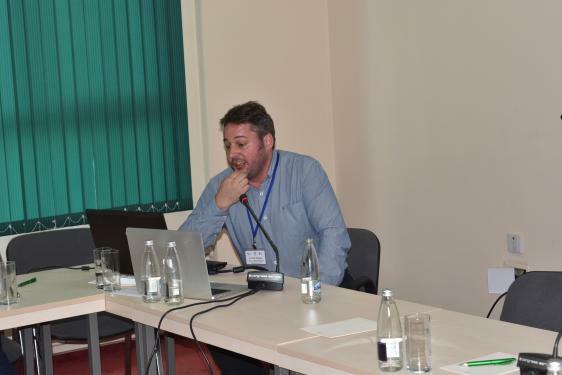 Dr. Peter Rodgers, Lecturer in Strategy and Business at the University of Sheffield, outlined the findings of a focus group research conducted in Croatia. According to him, there are a large number of distinct reasons for undeclared work including individual motivations, normalisation, and a lack of trust in formal institutions. Dr. Rodgers detailed the measures applied to counteract them, which included fiscal cash registers, competition for sending receipts to the tax office (a type of national lottery) and workplace training without employment, and went onto to prescribe a number of further policy approaches, which all required changes starting from ‘the top’ meaning regional, national and European government. Dr. Marija Risteska, Director of the Center for Research and Policy-Making (CRPM), Skopje, provided a comprehensive analysis of the hidden economy in Macedonia, which she estimated to represent between 24% and 47% of the national GDP, while the non-observed economy estimated by the state statistical office is standing at around 20% However, there has been observed a positive trend of the revenues coming from social security contributions over the last few years despite the political crisis and the decrease in tax rates in Macedonia. This is concurrent with a worsening of most of the major hidden economy indicators in the country with the key reasons for this being a non-issuance of fiscal bills and tax evasion. According to Dr. Risteska, in 2016 in Macedonia around 45% of employees with primary employment are partially or completely undeclared. 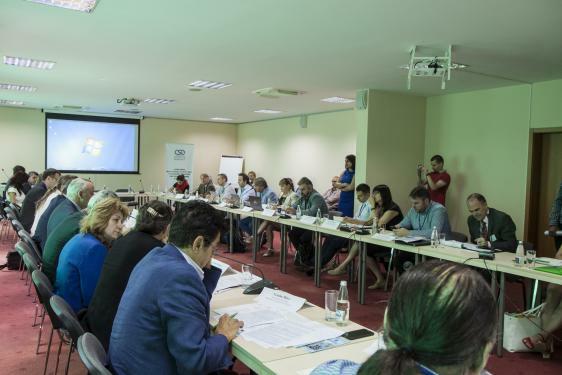 Ms. Rositsa Dzhekova, Coordinator of the Security Program at Center for the Study of Democracy, demonstrated how social norms are drivers of participation in the shadow economy in Bulgaria. She discussed the key drivers for undeclared work in new EU Member States and presented the results of a hidden economy population survey on the public attitudes towards tax compliance and formal institutions. 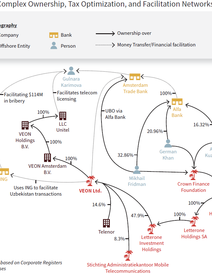 Her key finding was that in Bulgaria there is a strong correlation between people who justify tax evasion and those with a higher propensity to engage in the shadow economy. The reason for this, Ms. Dzhekova argued, was due to institutional asymmetry. According to her, a drive is needed to ensure formal institutions were perceived as legitimate and a greater awareness of the negative consequences of tax evasion must be achieved, which should diminish both tax evasion and the informal economy. 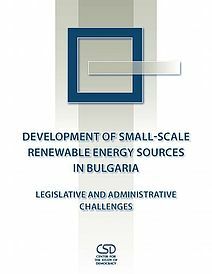 She concluded that over 70% of Bulgarian citizens are holding critical views towards the ability of the government to deliver public goods and services in exchange for taxes, distribute resources fairly and enforce rules universally. 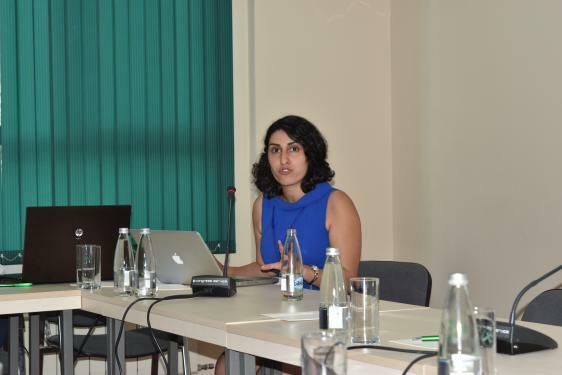 Marie Curie Research Fellow Ms. Legha Momtazian from the University of Sheffield discussed how ‘personal connections’, which have many different names across cultures, have formed a major part of the informal economy. 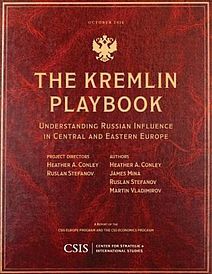 The reasons for these connections are numerous. However, they are often culturally embedded or a reaction to a centralised state. According to Ms. Momtazian, in Bulgaria 40% of the respondents to a survey on the matter labelled the significance of ‘personal connections’ in achieving goals as ‘important’, while 33% described them as ‘very important’. However, the survey did not show consistent use of ‘personal connections’, although they happen to be quite common when helping a person to find a job or access medical services. 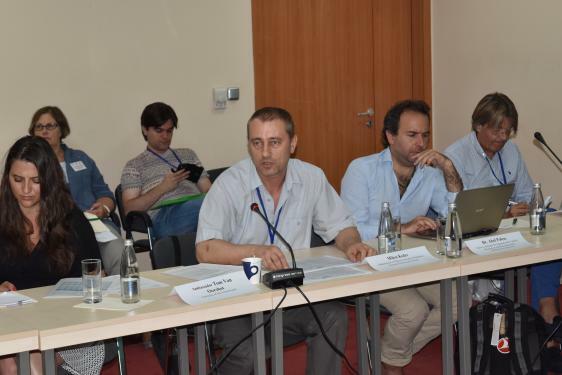 Mr. Josip Franic, Researcher at the Institute of Public Finance, presented a thorough analysis of envelope wage practices in the EU, which are an illegitimate form of employment in which a formal employer conceals from the authorities the actual remuneration of their legally registered employee by declaring only a part of it. According to Mr. Franic, this quasi-formal form of employment was a far more complex issue than previous studies on the matter have suggested, with a direct policy approach not being a viable option. Indeed, in order to tackle the problem effectively, he stressed that ‘soft’ policy measures must be adopted to increase credibility of the state institutions on one hand and improve the tax morale of citizens on the other. 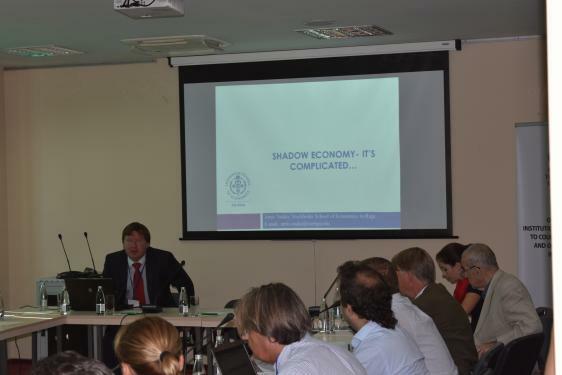 Following the conference a two-day summer school on the topic of shadow economy in Europe and beyond took place, where international experts and PhD students presented their work and research and debated the causes and impacts of the informal economy. 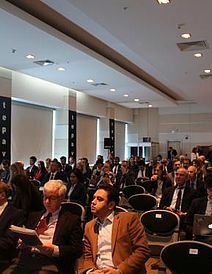 The event included numerous simulations and presentations exploring issues such as the tax morale and informality in post-socialist rural areas, the informal competition in the private sector and the nature of the relationship between the minimum wage and the size of the shadow economy, among others.